Are you looking into having a new heating system installed this fall? It’s a great season to schedule this kind of major HVAC job: you’ll be ready in time for the winter cold, and it’s easy to have it arranged with our installers at a convenient time. Picking the right new heater can be a bit tricky, however. Let’s take a look at some of the choices we’ll help you make when shopping for a heating installation or replacement. This is the time of year to make an upgrade to your heating system: you want that new furnace in place before the coldest weather of winter arrives. And when we use the word upgrade, we’re serious! Instead of simply thinking of replacing your old furnace, go with installing a new high-efficiency furnace. 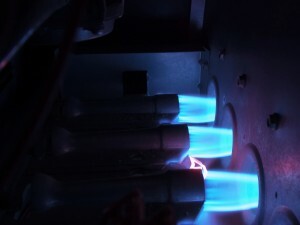 New high-efficiency furnaces can consume 30% less fuel compared to older models. Installing one of these energy-saving heating systems is an excellent investment for a number of reasons. Heating Guide Should You Repair or Replace Your Heating System? Although manufacturers of heating systems build their products to last for many years, a heating system will eventually reach a point in its service life when it can no longer do an efficient or effective job of keeping a home warm. Although regular maintenance and prompt repairs will help a heater endure for as long as it can, a time will come when you will have to make a choice about whether it is worthwhile to continue to repair the system, or to have it replaced with new installation. You do not need to make the choice on your own, however: heating professionals like the staff at Purl’s Sheet Metal & Air Conditioning are available to help you choose between “repair and replace.” When it comes to heating installation and replacement in Fresno, you can trust in our many decades of experience to guide you toward the best choice for comfort and long-term savings. When Is Replacement The Best Option? To get started with answering this question, you need to check the age of system against the manufacturer’s expected lifespan for it. If the heater is at or over the estimated lifespan, then you should already be considering replacing the unit—even if it is currently working well. The system is at the age where it will likely soon begin to decline, and getting a head start on a more efficient new heating system. If the heater is still a few years away from the end of its lifespan estimate, you should keep repairs as an option, but call for a technician to look over the system to give you a better idea. If you have started to call for repairs on a regular basis for the heater, you will probably save money if you retire the system and replace it with a new one. A good rule of thumb to follow is that if a necessary repair will cost half of what it will cost to replace the heater, you should replace instead of repair. A rise in your heating bills that will not come down no matter what repairs or maintenance you have done is usually a strong sign that the heater has entered into an irreversible decline. When you call for repairs, the technician will be able to tell you the best route to take. All of the heating technicians at Purl’s Sheet Metal & Air Conditioning are NATE-certified, and when you call on their services, you will receive the answer you need to find out whether it’s time for repairs or new heating installation and replacement in Fresno, CA. Posted in Heating | Comments Off on Heating Guide Should You Repair or Replace Your Heating System? Here in Fresno, heating installation is a serious business. Our winter nights can get surprisingly cold in the Central Valley, and your heater needs to reliably combat them for many years to come. A heater that isn’t right for your property will cause you unnecessary headaches, as well as monthly heating bills that are higher than they need to be. In particular, the size of the heater plays a huge role in its efficiency: not its physical size (though that may be a factor depending on the space you need to fit it into) but its heating capacity as measured in BTUs (British Thermal Units). Here’s why having the proper sized heater is so important. Generally speaking you need about 50 BTUs of heating capacity to heat one square foot of space. This is a very rough estimate and can be changed by factors such as the amount of insulation in your home and its exposure to sunlight. A trained professional can make an accurate assessment and determine how many BTUs you need to adequately heat it. As you may suspect, a heater that produces too few BTUs won’t be able to do its job. It will work too hard – increasing wear and tear on its components – and you may never feel warm enough in certain parts of the house. At the same time, a heater that produces too many BTUs may cause an equal number of problems. That may seem counter intuitive, but in fact it makes perfect sense. Heaters use the most amount of energy (and create the most strain on their components) when they’re starting up or turning off. Accordingly, you want your heater to run at a steady pace for at least 15 minutes at a time, possibly more. A heater that produces too many BTUs for your space will cycle on and off too rapidly, which also increases energy consumption. In order to work with maximum efficiency, a heater thus needs to follow the Goldilocks Rule: neither too small nor too large but just right. That’s why having the proper sized heater is so important. In Fresno, heating installation service is provided by the experts at Purl’s Sheet Metal & Air Conditioning. We can ensure that your heater is properly sized for your living conditions, so give us a call today! Heating installation in Madera can entail a number of different systems, from traditional gas furnaces to heat pumps and ductless mini-split systems. Your heating installation options can vary quite a bit, but generally revolve around one basic question: ducts or no ducts. Both offer advantages, and the question of which one works best for you depends on the specifics of your home. Most people are familiar with ducted systems and many homes come equipped with them as well. They branch out from a centralized HVAC system, through the crawlspace in the walls and other unobtrusive areas like the attic. That allows them to carry air from the HVAC system to any part of the house. They do their jobs well and if your house already comes equipped with them, then it makes sense to use them. On the other hand they’re not the most efficient means of conveying heat. According to the U.S. Department of Energy, you could lose up to 20% of you heating capacity through your ducts, and if you need to install them as part of adding a new heating system, you lose the inexpensive start-up cost that serves as one of the great advantages of such a system. Ductless systems usually rely on multiple units placed throughout your home, allowing you to tailor the heat in individual rooms to match your tastes. They also allow you to only heat those parts of the house that you’re using, cutting down on energy costs in the process. Indeed, ductless heating tends to be more efficient than ducted system in general, saving you money on heating every month. The only real down side is that installation tend to cost more, and then only if your house already has an existing system of ducts. Based on that, you need to evaluate the state of your current furnace system, then make a decision after going over your heating installation options with a trained professional. 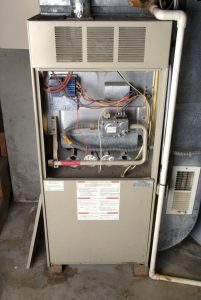 Heating installation service in Madera, CA is covered by the experts at Purl’s Sheet Metal & Air Conditioning. We’ve served the Central Valley for over 60 years, and can help you decide between ducts or no ducts. Pick up the phone and call us today!